Because of this I don't have that many scary covers in my personal library and while I could go looking for the most scary ones on GR I'm not really comfortable doing it that way. I kinda like to know what I'm putting on and promoting on my blog and since I can't say anything about the actual content of those books I don't like it. Instead I'm going to go through my library and pick out those that if you've never heard of the title or know what they're about could be the covers of scary books. So a "This-could-be-a-scary-book-but-isn't"-kind of list. Click the covers to got to their GR page and see how not scary they really are. 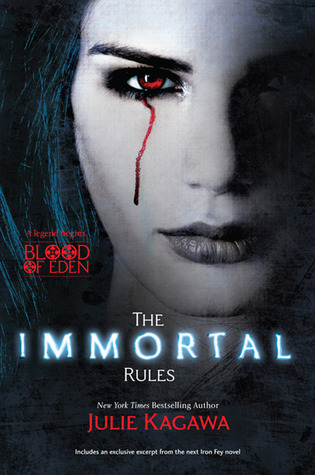 The Immortal Rules by Julie Kagawa - Pale girl weeping blood. Haunting. 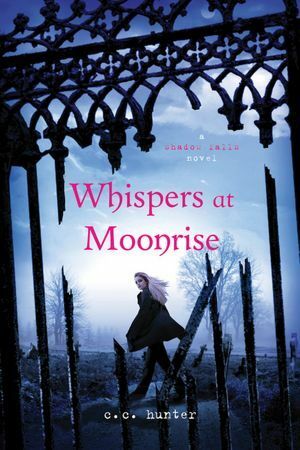 Whispers at Moonrise by C.C.Hunter - The broken gates and cold colors gives it quite an eerie feeling. 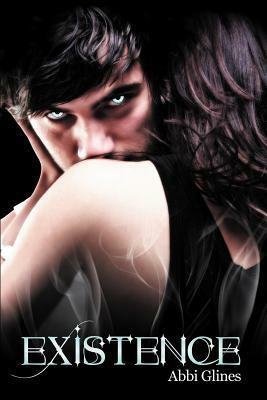 Existence by Abbi Glines - Those eyes! 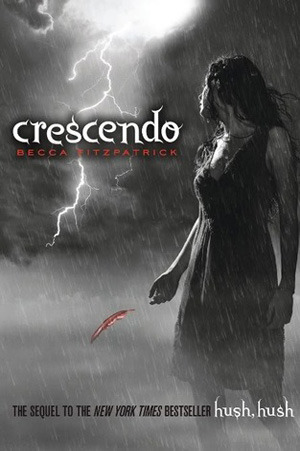 Crescendo by Becca Fitzpatrick - A lonely girl in a thunder storm, everything could go so wrong. 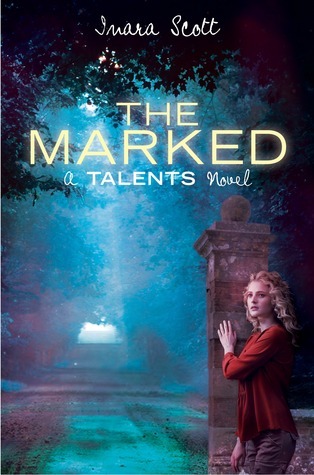 The Marked by Inara Scott - A lonely road past the gate, where could it lead? One of those orphanage that kills people? An asylum? The girl sure looks like she wants to be anywhere but there. 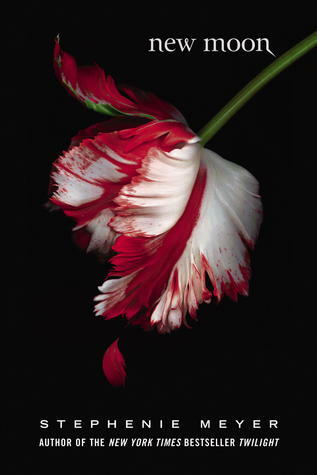 New Moon by Stephenie Meyer - A bleeding, frayed tulip. Ominous. 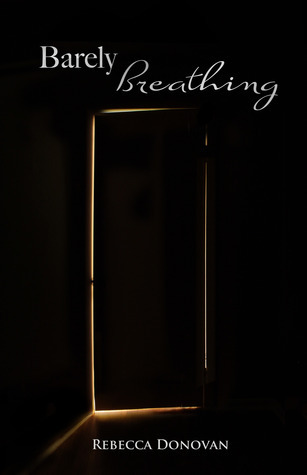 Barely Breathing by Rebecca Donovan - Who, or what, will come through that door? 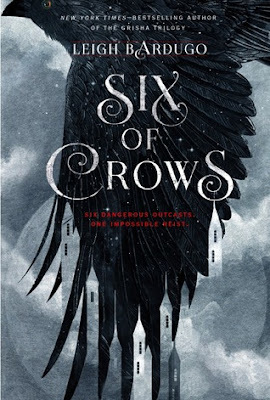 Fallen by Lauren Kate - A girl in a Gothic dress covering her face and surrounded by crows. I really don't want to be her. 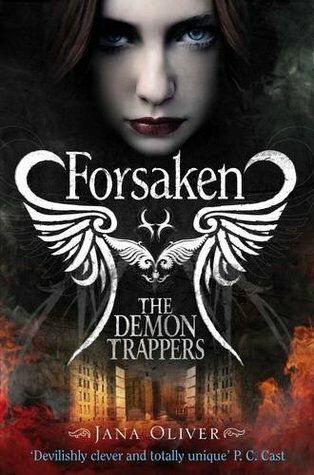 Forsaken by Jana Oliver - A girl with a sinister look in her eyes and a city on fire, doesn't bode well does it? 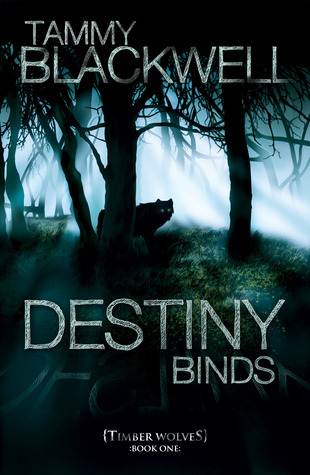 Destiny Binds by Tammy Blackwell - Dark woods with a creature with fiery eyes watching you. I'd run. And I'd run fast. What's on your "Scariest book covers" list this week. Leave a link in the comments and I'll check them out! Ooh they do look creepy! Glad they're not too scary though. 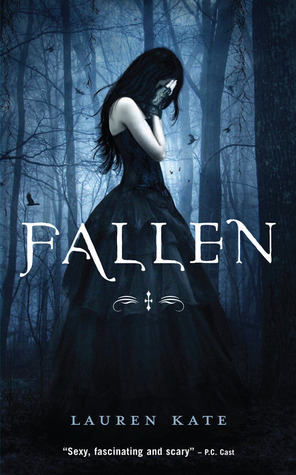 My favorites covers are The Immortal Rules and Fallen. They do? The whole point of this list was that the covers could, in another world, have been scary books but as it is now they aren't. .